On Monday, TSN’s Gary Lawless reported that the Russian Ice Hockey Federation has acknowledged defenseman Slava Voynov would not be participating at the World Cup of Hockey. 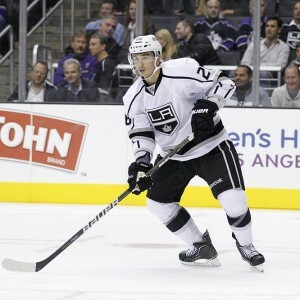 Voynov, the former Los Angeles Kings defenseman, had been named to Team Russia’s roster when it was released on May 27. News of Voynov’s inclusion on Russia’s roster for the international tournament immediately created controversy. NHL Commissioner Gary Bettman had previously warned against Voynov’s participation in the tournament, pointing to the player’s indefinite suspension by the NHL as the reason for his ineligibility in the tournament. Team Russia responded days later, making it clear that it saw things quite differently. “Only we, I mean our coaching staff and Hockey Russia, can determine who is going to play and who’s not. World Cup is an international tournament, it’s not just (the NHL’s). So I don’t think there should be any questions regarding Voynov,” Russian coach, Oleg Znarok said. On Oct. 20, 2014, the NHL suspended Voynov indefinitely after he was arrested earlier that morning on a charge of domestic violence. On Jul. 2, 2015, a week before his trial was set to begin, Voynov plead no contest to the domestic violence charge and was sentenced to 90 days in jail followed by three years of probation. The news raised questions about the Russian defenseman’s future in the NHL. On Sept 16, 2015, after being released from jail, Voynov issued a statement through his agent, Rolland Hedges, acknowledging that he was leaving the United States and returning home to his native Russia. At the time, Voynov was facing deportation proceedings with U.S Immigration and Customs Enforcement. With Voynov’s return to Russia, his remaining four-year contract with the Kings, worth more than $16 million, was terminated. Upon his return to Russia, Voynov signed with SKA Saint Petersburg of the KHL. During the 2015-16 regular-season, Voynov appeared in 23 games tallying 7 assists and 17 penalty minutes. With Team Russia’s acknowledgment of Voynov’s ineligibility at the World Cup tournament, the team is now able to search for a replacement player.